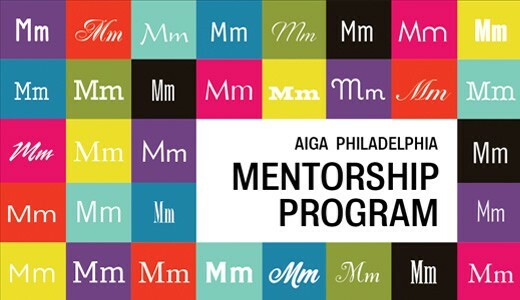 AIGA Philadelphia’s Mentorship Program engages professionals in a short-term, one-on-one mentoring relationship with a design student or recent graduate in our area. It’s a tremendous opportunity to learn and share. Applications are due by September 14. AIGA Philly is the local chapter of the American Institute of Graphic Arts. Find out more about them at http://aigaphilly.org/about.